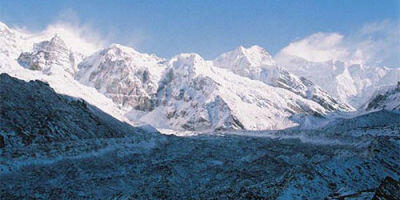 Kanchenjunga measures an altitude of 8586 ranking as the third highest peak in the earth planet. The word Kanchenjunga has Tibetan root which means five snow treasures. These five treasures of snow are Gold, Silver, Precious Stones, Grain and Holy Scriptures. Since the time immemorial, Local people have been worshipping these holy mountains of Kanchenjunga Himalayan Range. Situated in the north eastern district of Nepal named of Taplejung, it serves as the border of Sikkim, the Indian state as well as the border of Tibet to the north. In spite of being the third tallest summit of the world, the flow of the mountaineer as well as the trekkers numbers very low in comparison to other Mountain Range of Nepal. However, it has stupendous and awe-struck magnitude to offer the trekkers. Because of being less visited Mountain range of Nepal, it has kept a lot of treatise and qualities to explore for the world. Kanchenjunga Circuit Trek includes the trek to both South and North Base Camp. Kanchenjunga Circuit incurs you to the typical ethnic groups of Nepal such as Rai, Limbu and Sherpa while your trekking. Moreover, Tibetan villages can be seen on this trial. In addition to the hospitality, the locals extend you, you would also experience the magnificent landscape and natural beauty. The forest of pine trees, chest nut trees, rhododendron and cardamom planted on the terraced field would resemble the environment of northern part of Nepal ranging from east to west. With your ascending to the high land, you would also see the alpine trees. Nevertheless, the caste and ethnicity vary in different places of Himalayan Range. Recent years, the expansion of tourism has brought some establishment and running tea house along the trek. The spell-binding scenic charisma of Kanchenjunga Mountain appeared during your trek would engross your heart and mind. In the Kanchenjunga Circuit trek astounding stand of the mountain can be viewed while your trek keeps going on. Kanchenjunga Circuit Trek has been perceived as the strenuous and rigorous trek because of its remoteness and altitude. Nevertheless, it has mesmerizing marvels to offer the world yet. Still being less-discovered and explored land of the nature, it has million gems to offer the trekkers who are in longing for natural prosperity and familiarity. Rest for acclimatization at Ghunsa. Rest for acclimatization at Ghamabachen. Trek to Pangepema (5143 meter), the same day returning to Lhonak. Cross the Mirgin La (4663 meter) and trek to Tseram ( 3870 meter).